Imagining it to be a remote, cold desolate place somewhere on the edges of the globe, Iceland is not actually somewhere I had considered visiting. However, when I had the good fortune to go with a wonderful group of photographers and models, organized by the talented team of 'Miss Aniela'; I discovered that while it is remote and desperately chilly in November, it is also stunningly beautiful in such a unique way. 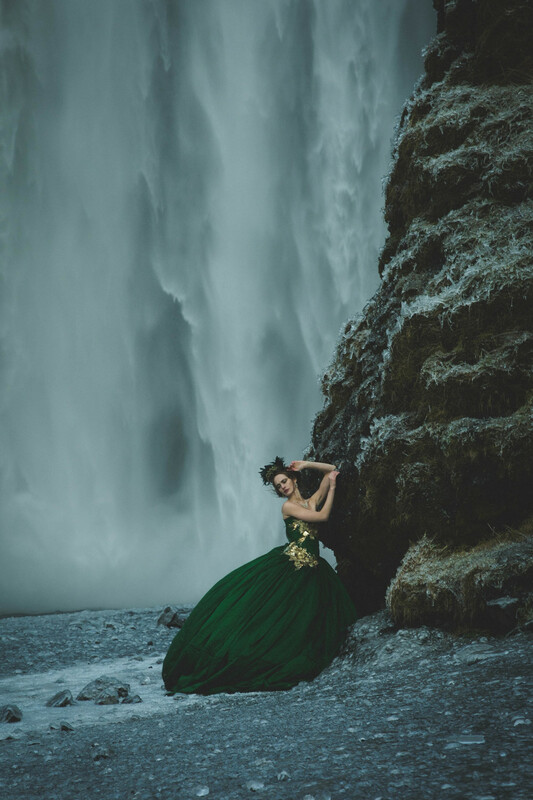 In Iceland I found a complex beauty - as all true beauty is, with a certain darkness and poignancy inherent. A beauty which shocks you into feeling simultaneously quite small and immensely vast, feeling both sad, alone, and also elated, free. The earth literally tears itself, splitting its core to reveal thundering waterfalls, geysers of boiling water, and massive lands of ice that creak and crack into cold lagoons. After one of our shoots, I stood on the edge of this blue lagoon for a long time. As it became darker and darker I listened to the ice chunks bump gently on the shore, I stared into the blue ice and I felt so small, and so wide, and so free. Here, I was reminded of the ways, and reasons, in which we make art. Inserting our beings, our desires, our imaginations into vast realms of space and thought, and see what comes out? 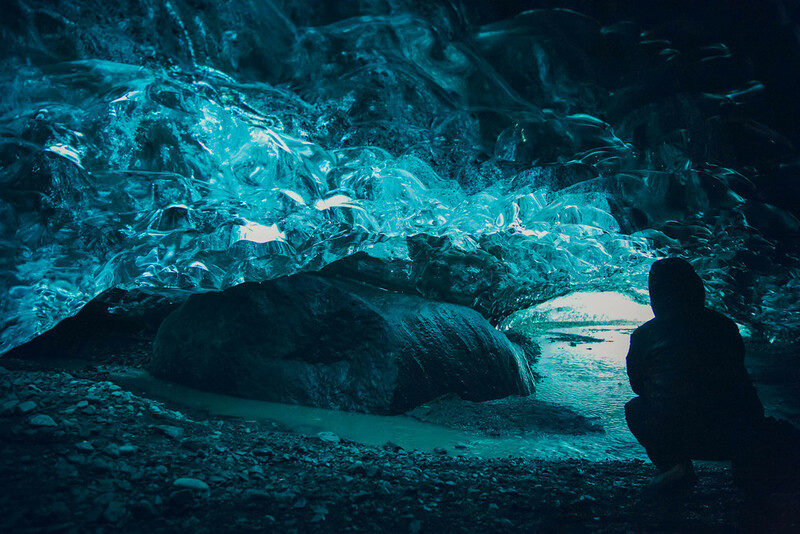 Standing in the ice cave with our dear model dancing in a light dress underneath the deep blue ice, before the camera, I wondered if this creation is pure folly? or somehow also such a wonderfully beautiful human response to it all? or both . . . Thank you to Miss Aniela. Thank you to our courageous, beautiful models who braved the cold with such good spirit to co-create such unique images. Producer: Miss Aniela, Models: Carmen Obied, Grace Gray, Berglind Pétursdóttir, Hulda Vigdísardóttir, MUA: Grace Gray, Stylist: Minna Atala, Dresses: Agnieszka Osipa, and Miss Aniela. Photographer in second photo is: Lis DH Magnus.